Remember the good ol' days when you had to call someone to talk to them, use the postal service to send a letter, or be home before the street lights came on? No, you don't, because those days were crap. Forget them. Now you get up to the minute photos of cats and babies. Every detail is documented forever. Original ideas have gone the way of the rotary phone to give way to Boards filled with other peoples photos on Pinterest. 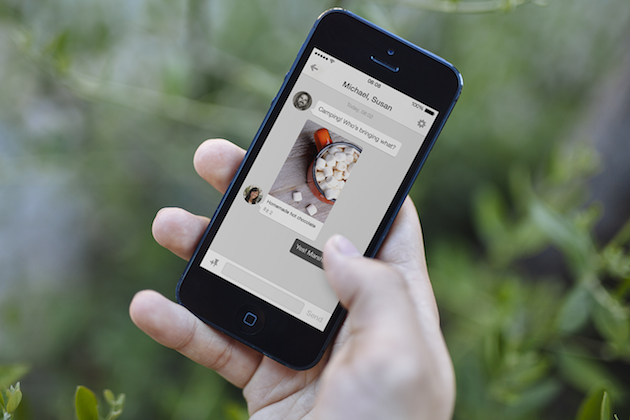 And now you can directly chat with other people on the inspiration network. That's right, your significant other can now share his or her feelings on the 7 wedding cakes you pinned. The world just keeps getting better and better.